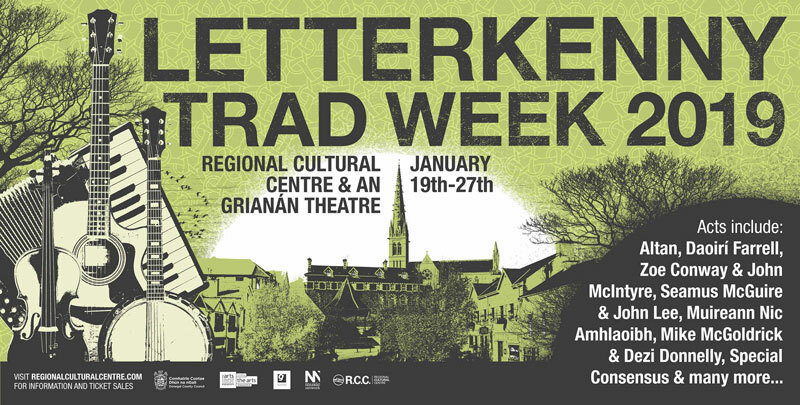 Letterkenny Trad Week 2019, the week-long festival presented by the Regional Cultural Centre and An Grianán Theatre takes place from 19th to 27th January. The festival features a great mixture of new talent on the rise, stalwarts of Irish and other Celtic traditional music, as well as a Grammy-nominated bluegrass band from the United States.Kicking off the week on Saturday, January 19 will be an exciting collaboration presented by Music Network – Muireann Nic Amhlaoibh, Siobhan Miller, Damien Mullane & Anna Massie in the RCC. The ethereal voice of award-winning Scottish songstress Siobhan Miller (vocals) and the honeyed tones of Muireann Nic Amhlaoibh (vocals/flute), recent winner of RTÉ Folk Awards ‘Best Traditional Folk Track of the Year’ will be complemented by gifted accordionist Damien Mullane (accordion/melodeon and fleet-fingered guitarist and banjo player Anna Massie (guitar/banjo/mandolin). On Tuesday, January 22 the RCC will host a double delight of duos in husband and wife Zoë Conway and John McIntyre, as well as Seamus McGuire and John Lee. This gig is now Sold Out ! There is huge excitement around the artist taking to the stage in the RCC on Wednesday, 23rd. A former electrician who decided to become a musician after seeing Christy Moore perform on Irish TV, Dublin-born traditional singer and bouzouki player Daoirí (pronounced ‘Derry’) Farrell has been described by some of the biggest names in Irish folk music as one of most important singers to come out of Ireland in recent years. On Friday night, 25th the RCC is delighted to welcome back Special Consensus who have appeared in Letterkenny on a number of occasions and are sure to attract a great crowd. Special Consensus is a superb bluegrass outfit in a classic vein but with more than enough modern sensibilities to attract every ear in this now pleasantly fractionating genre. Bringing the 2019 Letterkenny Trad Week to a close, our partners An Grianán Theatre will host world famous group Altan on Sunday, January 27. 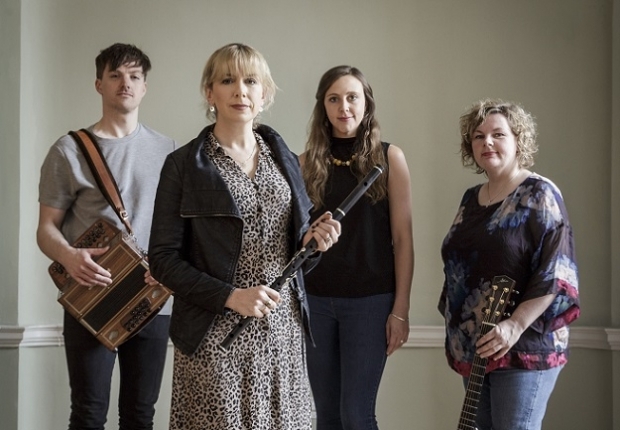 Founded by Mairéad Ní Mhaonaigh and her late husband Frankie Kennedy, the group has been bringing Irish traditional music and song to fans around the world for over three decades. In May, 2018 Donegal County Council honoured the group with a civic reception at the County House in Lifford, celebrating the group’s achievements bringing Donegal music to the worldwide masses over the years. All concerts begin at 8pm. For ticket bookings or further information go to www.regionalculturalcentre.com or call An Grianán Theatre Box Office on Tel +353 (0) 7491 20777. The 3rd annual Letterkenny Trad Week takes place from January 20th to 30th 2017 with concerts here at An Grianán and in the Regional Cultural Centre. The event goes from strength to strength each year and the 2017 festival has an expanded programme featuring five great concerts, music workshops and artists-in-residence The Rheingans Sisters from England. A brilliant series of folk and traditional music concerts includes performances by some of the world’s leading musicians including: Billy Bragg and Martin & Eliza Carthy from England, Julie Fowlis and Kris Drever from Scotland, Na Mooneys, Lynched and No Crows from Ireland and Joe Henry and Special Consensus from America. All concerts start at 8pm and tickets can be booked at An Grianán Theatre on 00353 74 9120777, or online at www.angrianan.com Tickets for RCC concerts are priced €12 / €10 concessions, Martin & Eliza Carthy is €20 and Billy Bragg & Joe Henry is €25. 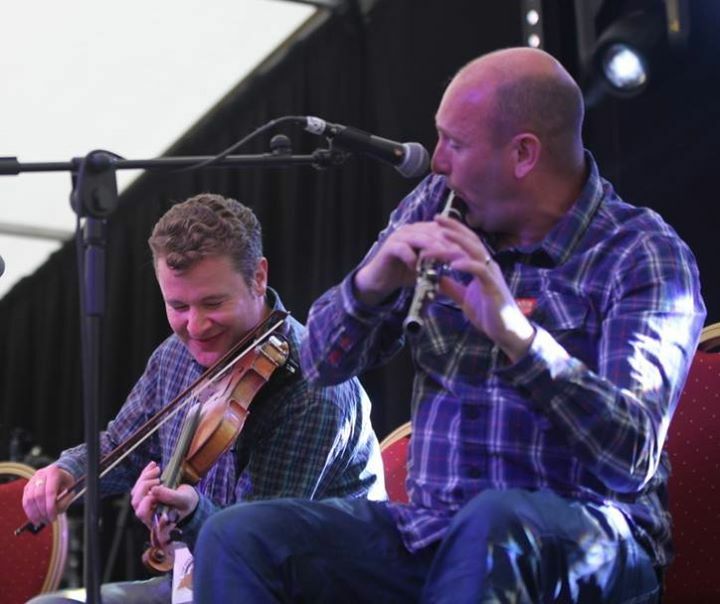 Letterkenny Trad Week kicks off with three concerts at RCC Letterkenny. There’s a blistering double-bill with classic US Grammy nominated Bluegrass band Special Consensus and the first Letterkenny visit by Sligo’s dynamic folk orchestra No Crows on Friday January 20th. Leading Scottish outfit Lau’s frontman Kris Drever teams up with the exquisite Hebridean singer Julie Fowlis and two of Ireland’s leading traditional musicians Aoife Ní Bhriain (fiddle) and Padraig Rynne (concertina) as part of a Music Network organised Irish Tour on Sunday 22nd. 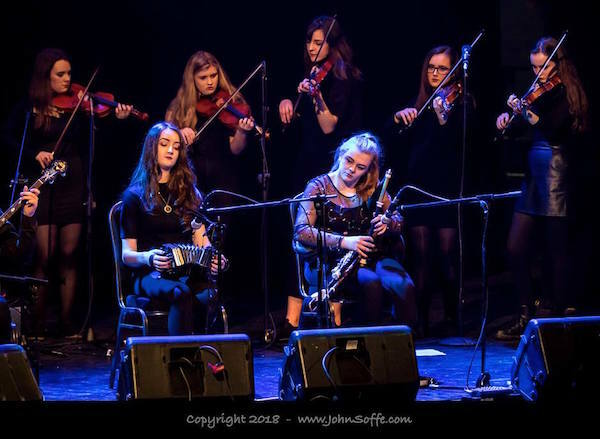 There is another incredible double-bill on Friday 27th with leading Donegal traditional music family group Na Mooneys, featuring sisters Mairéad and Anna Ní Mhaonaigh, their brother Gearóid and his son Ciarán, and the BBC Radio 2 Folk Awards winning Rheingans Sisters from Sheffield. The final two Letterkenny Trad Week concerts take place in the wonderful surroundings of An Grianán Theatre. The ‘A Family Affair, Gala Concert’ on Saturday January 28th features an amazing line-up of Martin & Eliza Carthy, Lynched, Rheingans Sisters and young local musicians Coirm. Martin Carthy ‘the greatest English folk song performer of them all’ (Q Magazine) and his twice Mercury nominated daughter Eliza, will be joined by brothers Lynched ‘the most convincing folk band to come out of Ireland in years’ (The Guardian), 2016 BBC Radio 2 Folk Award Winners (Best Original Track) and Folk Award Nominees (Best Newcomer), the Rheingans Sisters and Coirm, the wonderful young ensemble from Letterkenny’s Ceol na Coille traditional music school. The final concert on Monday 30th features Billy Bragg & Joe Henry. In March this year Bragg and Henry, boarded a Los Angeles-bound train looking to reconnect with music inspired by the railroad. On this ‘Shine A Light’ tour, they’ll be playing songs from that journey, along with favourites from their own considerable back catalogues. The press Launch for the 3rd annual Letterkenny Trad Week that takes place from January 20th to 30th 2017 was held at An Grianán Theatre on Tuesday December 13th. 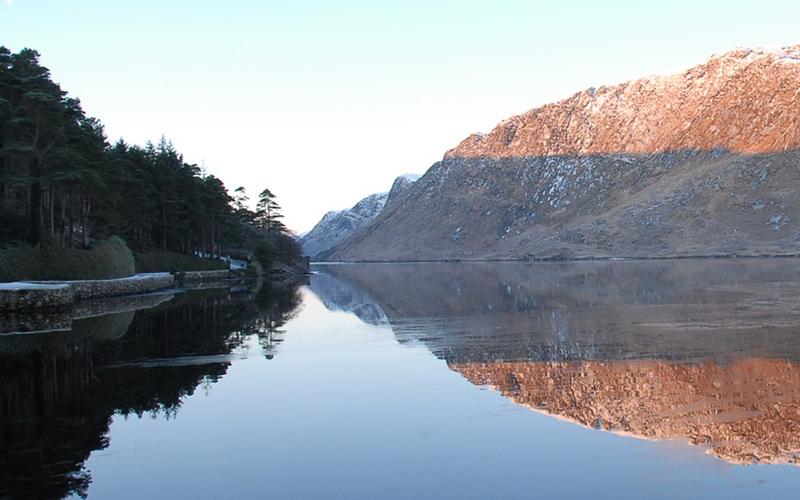 Trad Week not only sorts out any January blues you might have but with a special Pre-Christmas Early Bird Offer, of all 5 concerts for €60 only, it also provides a great option for Christmas presents (offer ends December 23rd). Letterkenny Trad Week is organized by Donegal County Council Regional Cultural Centre and An Grianán Theatre, in association with Earagail Arts Festival, Donegal Music Education Partnership, Music Network and media partner Donegal News.